Removes water and filter particulate contaminants with a high flow fuel filtration and final fuel polishing. 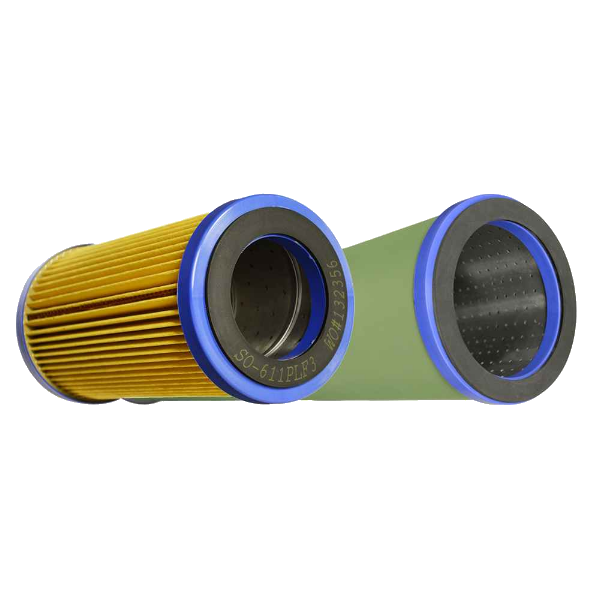 DFO filters transform contaminated fuels to meet stringent downstream ISO 4406 cleanliness standards for the demanding limits placed on diesel and biodiesel fuels. Parker’s DI coalescers in combination with DSO separators, contaminated fuels are cleaned to a level that meets stringent downstream fuel cleanliness standards for petroleum based diesel fuels. Aquacon Diesel (AD) filters can remove both particulate and water contaminants in fuels to meet stringent downstream ISO 4406 and ASTM D975 cleanliness standards for both diesel or biodiesel fuels. The AD design incorporates multiple layers of both high efficiency long-life particulate retention and water absorbing media.